I’m a big fan of MillaMia. Ever since my swiss darning project in the Learn with Leanne blog series, I’ve loved their products and the richness and depth of their shade collections. Today is the launch of their newest collection, Naturally Soft Cotton, with shades inspired by the warmer seasons. The shades are so easily combined, just like previous collections from MillaMia, so there’s something for everyone! Alongside Naturally Soft Cotton, they’re also launching a brand new collection of patterns designed for children. I’m delighted to share five patterns to get you started, all using Naturally Soft Cotton. The patterns in today’s post are suitable for beginners through to advanced knitters – so there’s something for everyone. Small projects, like bootees, are perfect for beginners! They get you started without requiring too much commitment. Plus, you quickly see the end result begin to take shape! The added detail of the cabling makes for a fun and fresh make. I’d love to see these knitted in the Sweetpea shade, or perhaps the Pure White for a really fresh look. If you’ve got to grips with knitting and feel ready to take on the next challenge, the Tova t-shirt could be just up your street. With sizing from one through to seven years old, it’s a small enough project — but so satisfying to finish and see it being worn! The block design keeps the piece quite modern; the only question left is which two colours to combine? I think Candy Pink and English Rose would look fantastic together. I fell in love with MillaMia’s Tivoli blanket as soon as I saw it! There’s something about the stitch combination that makes me want to cuddle up in it (even if it is meant for a baby!). The combination of the Bluebell, Pure White, Off White and Lemon shades gives it a lovely fresh feel. But, as with other MillaMia patterns, ideas for alternative colour combination are included if you want to try something different. This might be the cutest of the five patterns I’ve chosen. Just how adorable are the bobbles on the sleeve of this cardigan? Sizing in this pattern ranges from one to eight years old and I love how MillaMia have chosen the bold Bright Red as an example shade. They like to keep their patterns unisex, so there’s also a bobble-free version of this one! A great year-round pattern. And finally, something for the more experienced knitters out there – the Olaf jumper. A second cable pattern, this jumper is unique and fresh. The contrasting colour on the sleeves jumps out at you and the cables create neat and tidy lines down the garment. The intricacy of this pattern makes it more complex, but it’s well worth it to create a wonderful piece. 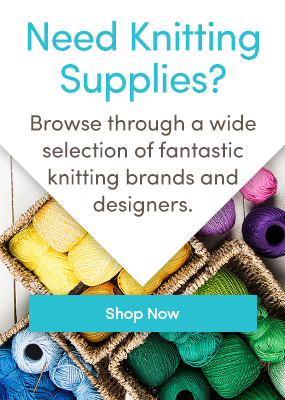 The full range of MillaMia Naturally Soft Cotton shades and patterns can be found here; which one will you get started with? I can’t wait to have a go at the Wilma cardigan! Find out how you could win £500/$650 in our MillaMia Cotton competition here. Leanne Beale Leanne has been a knitter for many years, and turned her hand to crochet last year making ponies for her nieces. Aside from crafts, Leanne works in marketing, loves cat and runs a sticker shop! Last updated: August 5th, 2016. I wish I could find patterns for pre-teen girls. I have looked and looked and can’t find any. In answer to my previous comment I think the Tova T-shirt is adorable. I have 2 great granddaughters who would love to have a Tova T-shirt if I just had a pattern for pre-teens.